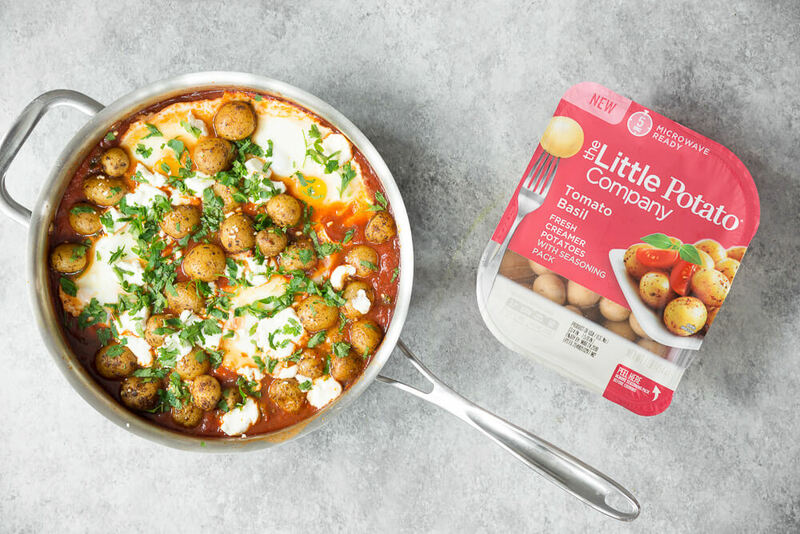 Eggs poached in a spicy tomato sauce with potatoes and spinach. The perfect vegetarian dinner or breakfast. 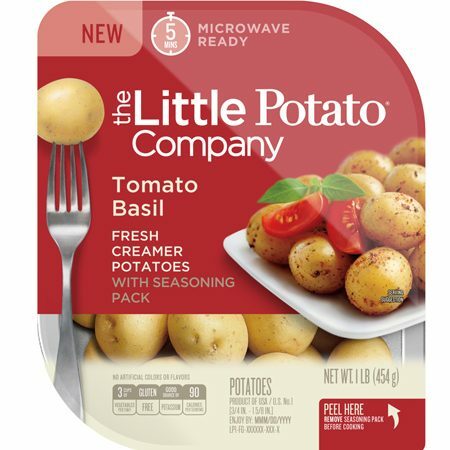 Microwave the Little potatoes according to package directions. Add in the seasoning packet, toss well, and set aside. While the potatoes are cooking, heat the olive oil in a large, deep skillet over medium heat. Add the onions and sauté until very soft. Add in the garlic, chili powder, vegetable broth and tomatoes. Reduce heat to low, cover and simmer for 15 minutes to let the flavors develop. Remove the lid and stir in the spinach. Using a spoon, make a small well in the sauce and crack the eggs directly into the sauce. Place the lid back on and cover, cooking the eggs for 10 minutes. Remove from heat, and gently place in the cooked potatoes and goat cheese. Recover and let sit off heat for 2 to 3 minutes to allow the goat cheese to melt over the eggs and potatoes and the egg whites to continue to set.